Manchester City's third kit symbolizes City’s quest for glory and showcases the club’s pride in representing the City of Manchester in Europe. Premier League champions, Manchester City have officially launched their third kit for the 2018/19 campaign, which they say is inspired by the past and present. Following a record-breaking 2017/18 season that saw City achieve an unprecedented 100 points, the new third jersey reintroduces the famous football sash identity seen in many historic City kits. This time it comes in a striking orange colour on a dark purple base. A statement on the Nike official website explains why the new kit is different from the traditional white and sky-blue home kit. “The jersey reintroduces the famous football sash as a nod to the club’s past (it was last worn on pitch during the 2010-11 season), while also staying grounded in the present with a print formed by an aerial view of industrial East Manchester, the Etihad Stadium and its surrounding area. 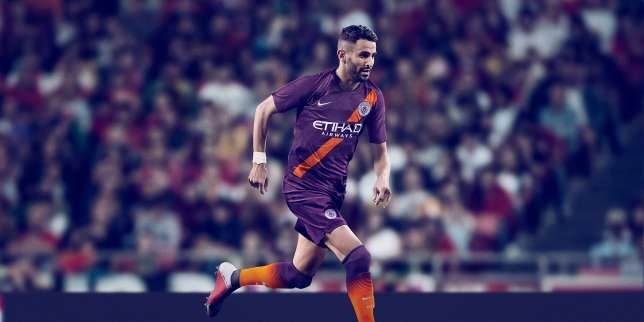 “In total, the kit symbolizes City’s quest for glory and showcases the club’s pride in representing the City of Manchester in Europe,” the statement read. 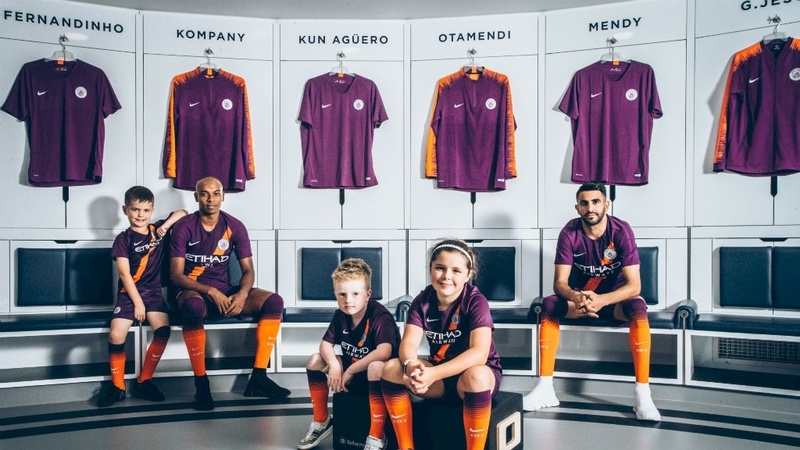 Three young local club fans - Cityzens were given a surprise when they were met by players Riyad Mahrez and Fernandinho in the first team dressing room in the Etihad Stadium. Manchester City are expected to wear their new third kit when they resume after the international break.